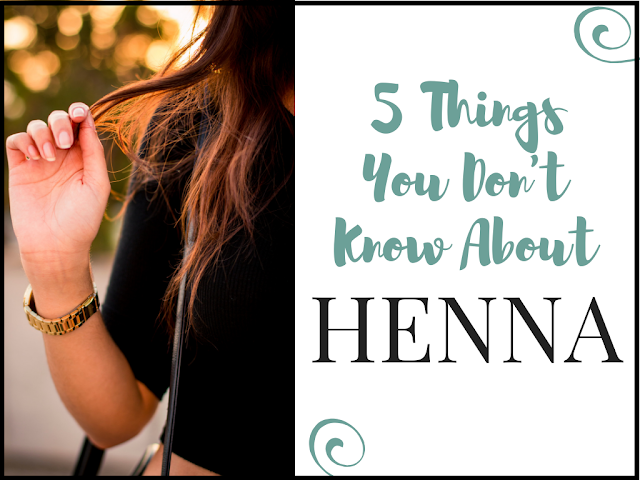 There's a lot of conflicting information out there about coloring your hair with henna and it can be a really intimidating thing to try out. 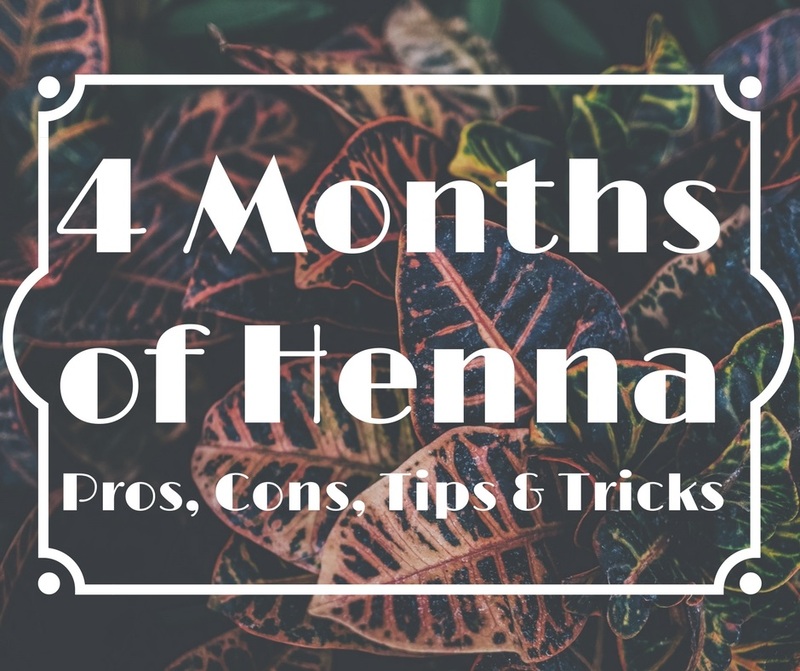 I've been using henna on my hair since December, and after mentioning it a few times in passing, both here on the blog and on Instagram, I've gotten a number of questions. I'm not a hair stylist or a henna expert, but I want to talk about my experiences, the pros and cons, and also share some tips and tricks I've picked up along the way. Henna -- What Is It? Henna, if you aren't familiar with it, is a plant based dye made from the leaves of the lawsonia inermis plant. Today, it's most commonly used for temporary henna tattoos and as a hair dye, but it's historically also been used to color leather, wool, and other fabrics and textiles. Unlike traditional hair dyes which penetrate the hair cuticle and interact with the melanin in the hair cortex, henna just coats the outside of each strand. The coating (and color) wears off over time --- usually between 4-12 weeks -- but regular use of henna can actually add noticeably more body to the hair, since it's adding that extra layer/coating with each use. I don't want to spend a lot of time talking about why traditional hair dyes are problematic -- there's plenty of other resources for that -- but needless to say, there are a number of questionable chemicals found in regular hair dyes. Yes, there are dyes that use less chemicals, but henna is the only completely natural method of coloring your hair that I've come across to date. I've had grey hairs on the top of my head since I was 18 or 19, courtesy of thyroid issues I dealt with as a teenager. They're not a big deal in the scheme of things, and I know that, but they were definitely the deciding factor in trying henna and also the main reason that I've continued with it these past few months. I'm pretty low key with my hair, but it's really nice not to have noticeable grey hair for the first time in 10 years! Henna Brands -- Which Should You Use? More so than any one particular brand, it's important to make sure that you're getting pure henna made from 100% natural materials. Avoid compound hennas that contain metallic salts, metals, or synthetic dyes. Instead, look for companies that mix the henna only with other plants and herbs. 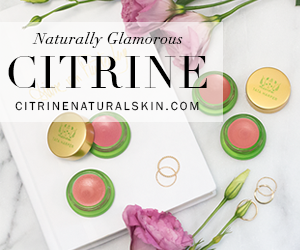 Common add-ins include clays, indigo, cassia, amla, turmeric, and chamomile. 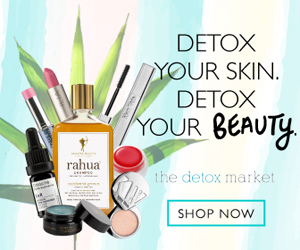 I've tried two brands of henna thus far -- Rainbow Research, which I purchased myself on iHerb, and Henna Color Lab, which was kindly sent to me by the company. 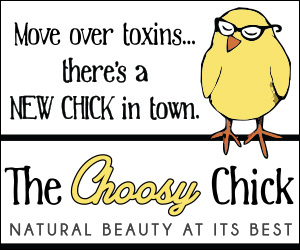 Both brands sell henna free of synthetic additives, chemicals, metallic salts, and metals. Choosing a powdered henna over a pre-hydrated cream also minimizes ingredients and eliminates the need for preservatives. Burgundy is sold as a dark auburn, but that's not how I'd describe the results on my hair. My natural hair is a light/medium brown -- as you can see in the sidebar photo -- and this really didn't darken it at all. 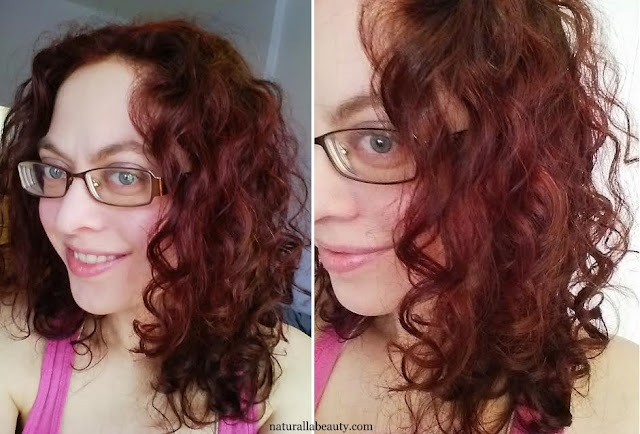 It gave it a red tint, but depth-wise, it was pretty much the same as my natural hair. In fact, the difference was so subtle that a lot of people didn't even notice that I'd colored my hair. The most noticeable difference was that it turned my grey hairs from grey to gold and made them look like strawberry blonde highlights. It also completely changed the texture of the greys and got rid of their wireyness and inclination towards static. Overall, I liked the color, but it wasn't exactly what I expected after looking at the Rainbow Research color charts. On the plus side, the color lasted very well and I was able to touch up my roots after 6 weeks and have them blend into the rest of the hair seamlessly. After another 5-6 weeks, I did notice the color fading, particularly on the grey strands. Wine Red is the darkest red in the Henna Color Lab catalogue, and is described as "a pure deep red with few to no brown undertones." From my experience, this is pretty accurate! It's a pretty color -- very vibrant and very red. My experience with this one was quite a bit fussier than the Rainbow Research Burgundy. The paste stained super easily -- both skin and virtually anything it touched -- and I had a brief night of panic when I first washed the color off to find that both my scalp and the edge of my forehead were also dyed bright red. Thankfully the color came off my forehead right away with some oil on a cotton ball and it faded off my scalp within 24 hours too. The color also bleeds a lot. Every time I showered, for the full 5 weeks before I recolored it, the water ran gradually paler shades of orange and yellow. A number of the reviews on the Henna Color Lab site mention a similar experience, so it wasn't totally unexpected. You definitely want to use dark towels and rinse out the tub after showering -- the bleeding color won't permanently stain the tub, but it does take some scrubbing to get it clean if any of the drips are left to dry. The bleeding also went hand in hand with color fading. In my understanding, henna by itself doesn't typically bleed, so I'm assuming it's the other herbs and plant additives here that do. As they bled out, the color also changed -- after about 4 weeks, I was left with a lighter and much more coppery color than the initial vibrant red. It was significant enough that there's no way I could do a root touch up with this one and expect the freshly dyed roots to blend with the length of the hair. Wine Red definitely requires more upkeep, but the color -- especially initially -- is super gorgeous. I don't think the bleeding is indicative of all the colors at Henna Color Lab either, as I only saw it mentioned in the reviews for this one shade. I'll update if I try another color! Apply onto Freshly Washed Hair (No Conditioner) -- Any dirt, oil or conditioner will make it more difficult for henna to adhere to the hair. Pudding Consistency -- Add just enough water to the henna powder to create a thick pudding/cake batter consistency. If the mixture is too thin/runny, it may start to drip while the henna sets. Do a Strand Test -- Because color can be so variable, I recommend strand testing any new colors before dying your whole head. Wait a full 48 hours for the color to develop. (Optional) Apple Cider Vinegar -- Adding 1-2 tablespoons of ACV can help bring out red tones and/or help color stick to grey hair. Always Wear Gloves -- Henna hair dyes are the exact same thing as the henna used for henna tattoos. As such, they WILL stain your skin if left on. The Henna Color Lab dyes come with disposable gloves and you can also buy them up separately. Rubber dishwashing gloves work too and can be washed and reused. Coat Hairline/Ears/Neck with Shea Butter -- A generous coating will help prevent any henna from adhering to the skin. Any oil or butter -- or even lip balm -- should do the trick. Newspaper the Floor -- Henna can be messy and laying down some newspaper to stand on means you don't have to think about/worry about dripping. Cover Head with Shower Cap -- While henna sets. I've also used a clean plastic bag. Avoid Shampoo for 48 Hours -- To help color set and develop. Rinse out henna paste with water and conditioner only. 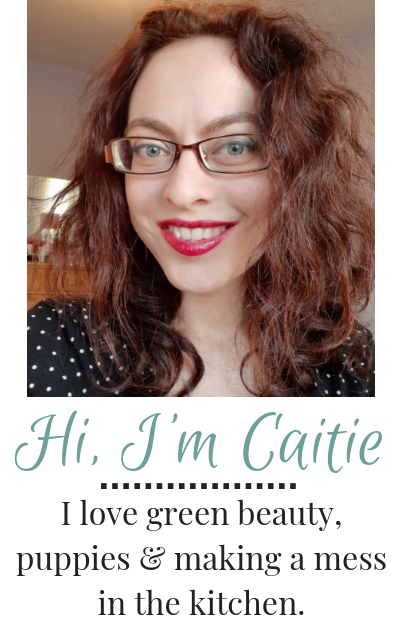 Long-Lasting Color -- It's recommended to re-dye every 4-6 weeks as the color gradually fades, but I've yet to have the color completely disappear/wash out. Effectively Covers Grey -- Results may vary, but I've had 100% coverage of my greys every single time. Conditioning + Strengthening Benefits -- While coating the hair, henna smooths the cuticle of each strand, leaving hair stronger, smoother, shinier, and conditioned. I can especially notice a difference on my grey hairs, which completely lost their wireyness and blend in much better with the rest of my hair now. Some people even use colorless, neutral 'henna' just for the conditioning benefits! Limited Color Choice -- Henna itself is red, so most shades have red/warm undertones. Dyed Color Depends on Starting Color -- Henna adds a coating over the hair, but it doesn't actually alter its color. The color you see is a combination of the hair's starting color, reflecting through the henna coating. Because of this, two people can use the identical henna and end up with vastly different results, depending on their natural/starting color. You generally can't go lighter, as you just won't see any noticeable results. This is also important to consider if covering grey hair, as the greys and non-greys will come out two different colors. On my hair, I think it blends pretty naturally and just looks like subtle highlights, but if you have a bigger contrast between the greys and other hair (ie. salt and pepper hair), the difference may be more noticeable. Permanent/Long-Lasting Color -- Henna is generally considered a semi-permanent color, but it lasts a long time and it's not easy to remove. The color fades, but is still visible on the hair several months after application, so it's probably not the best option for anyone who likes to make dramatic changes often. Messy -- The henna mixture, once hydrated, is like applying wet mud or pudding to your head. Time Consuming -- Application aside, henna needs to be left on the hair for 1-3 hours for color to take. Once rinsed out, it can also take up to 48 hours for the final color to fully develop. Potential Interaction with Chemical Dyes -- From everything I've read, it's usually additives in poor quality henna that interact badly with any ammonia or dyes that might still be on chemically treated hair, but we've all heard the horror stories! Definitely proceed with caution and perhaps contact any henna company directly before using it over traditional hair dye or before dying over it with traditional dyes. There are a few potential cons to consider, but I do generally think henna is a great option for naturally coloring hair. Beyond having to be left on the hair longer, I don't think the actual process of coloring hair with henna is all that different from that of traditional chemical dyes. It's safe and effective and offers conditioning and strengthening benefits too! I'd recommend both Henna Color Lab and Rainbow Research -- as long as you find a color you like, I think you'd be equally good going with either one! Have you used henna before? This is fascinating, Caitie! Your hair looks gorgeous! Thanks Margot :) It's definitely been an adventure!